Will provided Execellent supervision.Will provided Execellent supervision.Will provided Execellent supervision.Will provided Execellent supervision. I'm a private sister help with their daily care.I have a great Hospice experience. And have experience with tube feeding and special needs pt.I'm a private sister help with their daily care.I have a great Hospice experience. And have experience with tube feeding and special needs pt.I'm a private sister help with their daily care.I have a great Hospice experience. And have experience with tube feeding and special needs pt. Hello my name is Eunique. I'm a child care provider who is skilled and look forward to helping your family. Excited to talk to you soon.Hello my name is Eunique. I'm a child care provider who is skilled and look forward to helping your family. Excited to talk to you soon.Hello my name is Eunique. I'm a child care provider who is skilled and look forward to helping your family. Excited to talk to you soon. 14 year old Aniyah Barnett and Im interested in Babysitting children.14 year old Aniyah Barnett and Im interested in Babysitting children.14 year old Aniyah Barnett and Im interested in Babysitting children.14 year old Aniyah Barnett and Im interested in Babysitting children. Mableton Sitter Available For Being Hired. Any area in Atlanta.Mableton Sitter Available For Being Hired. 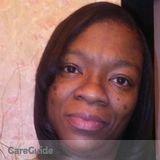 Any area in Atlanta.Mableton Sitter Available For Being Hired. Any area in Atlanta.Mableton Sitter Available For Being Hired. Any area in Atlanta. Hello my name is Kayla. I love child care and look forward to caring for your children. I look forward to speaking with you!Hello my name is Kayla. I love child care and look forward to caring for your children. I look forward to speaking with you!Hello my name is Kayla. I love child care and look forward to caring for your children. I look forward to speaking with you! Regardless of whether you’re looking for a daycare center or home day care, a part-time sitter, nanny share or full-time nanny, before or after school help or just a babysitter to give you the freedom to go out on the occasional date night finding child care in Mableton with Sitter.com is fast and easy. Avoid the expensive Mableton nanny agency and trust the most respected online service for finding Babysitters, Nannies and Daycares in Mableton! Getting Started is Easy! Post Your Mableton Sitter Job Today!